Do you ever buy something like a car, and then a month, two, three, or even a year later look longingly at someone else who’s driving around in the newer model? Thou shalt not covet! Or something to that effect. The question is: will those who purchased the M2 in 2016 be left coveting the newest edition to hit the shelves in 2017? After all, the M2 2017 has arrived to great fanfare, and a lot of players – both amateurs and high-end professionals – have been talking it up. Our review will clarify the two main queries burning on your mind. Is it a significant upgrade from last year? And is it worth coughing up mega bucks for? 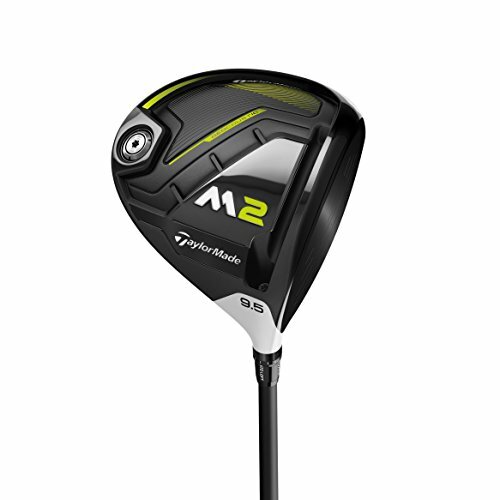 Our Taylormade M2 Driver 2017 Review featured as part of our analysis of the Best Golf Drivers Review, see here. 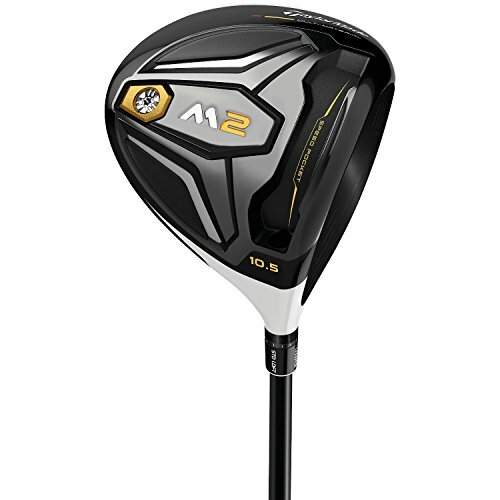 If you already own the Taylormade M2 Driver 2017 please leave your review in the customer review box at the end of this article. 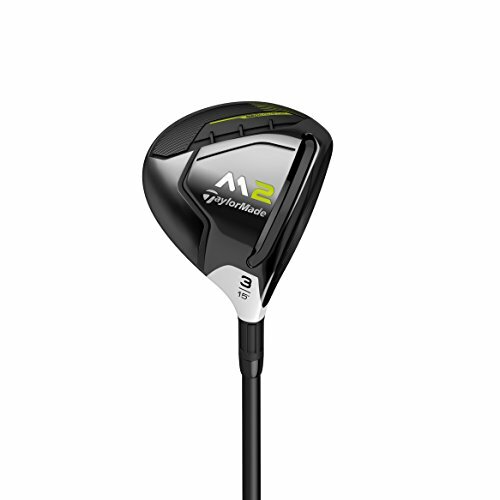 Taylormade boast an incredible raft of top-echelon PGA Tour players on their roster, and the Taylormade M2 2017 driver is one of the main hooks. The key challenge was to differentiate it from the resounding success of the 2016 edition, and they have certainly achieved that. Much of it lies in the design and engineering, and they have somehow found ways to save weight in the face, and further lower CG and increase MOI. The latter is truly exceptional, and ball speeds, distance and forgiveness are where the key benefits lie. 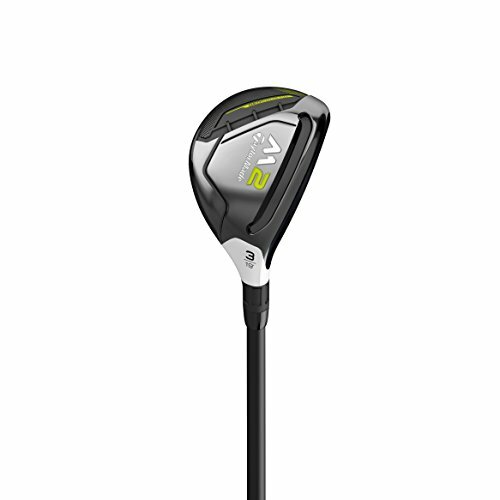 The Geocoustics underscore just what a feat of technology this club is, and although Taylormade are hitting you for a premium price here, the reasons to justify them doing so are endless. It costs nearly $400. That’s a lot of money for a single golf club – even if it is the nuts! There is good solid sound at impact and then there is unbelievable sound. The M2 2017 has the latter. It is so amazing it makes you want to finish the rest of the hole so quickly in order to pull out driver again on the next tee box! It’s expensive, but look at it this way – if it helps keep a permanent smile on your face during a round, it’s worth it! Whoa, where to even begin? 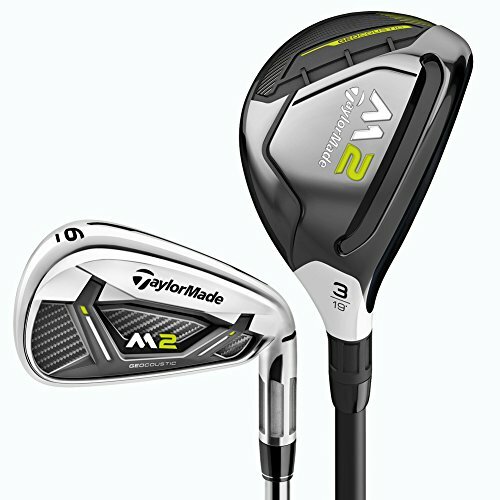 The emphasis of the build has been about putting as much real estate as possible between the 2017 M2 and its 2016 counterpart, and Taylormade have just about succeeded. The crown is comprised of six-layer carbon composite, while the sole uses thinner 9-1-1 titanium. One of the features of the sole is the sleeker look to the Speed Pocket, but it isn’t all aesthetics, as the redesign has also made this ball-speed aid three times more flexible. It’s all about speed, speed, speed! The titanium panel in the sole is sunk a little deeper, which saves weight. Indeed, in conjunction with the Geocoustic technology, it saves up to 25g, which has then been redistributed lower and deeper into the sole to lower CG and send MOI skywards. In fact, measures put MOI at higher than 5000 g/cm², which means the club stays squarer on mishits – all underpinning this driver’s exceptional forgiveness. As for the adjustables, this remains in the hosel, although it comes in the form of a sturdier aluminium, which is a bit easier to toggle during fitting. In terms of loft change, it matches the 2016 model with the same 2 ° range (1°, 0.6° and 0.4° from the stock lofts). And who would argue with the venerable, potent Fujikura shaft. As aesthetically-pleasing as it is formidable. If you hark back to the Masters earlier this year, you’ll remember the winner of the green jacket, Sergio Garcia, drove the ball pretty well. No prizes for guessing which weapon he used. And he isn’t the only top pro to be using it (successfully) on Tour. So, it can’t be too bad! In all seriousness, this club’s performance is exceptional. The adjustability options may be a bit limited, but the launch was good on this club, and it’s about as forgiving as anything we’ve ever sampled. Our numbers for both distance and smash were through the roof too, and this is backed up by a very powerful sound at impact. 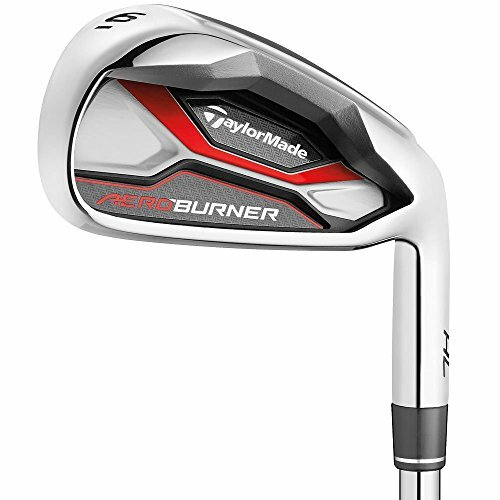 It’s the most explosive to come off the Taylormade conveyor belt to date, and, combines well with a solid, satisfying feel. 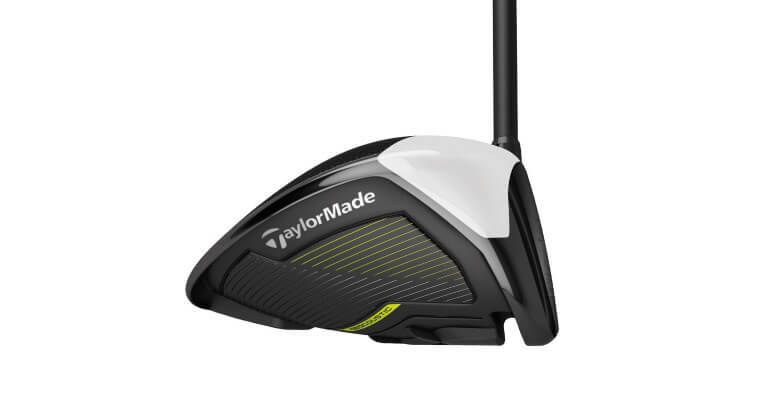 Taylormade have attributed the latter to a new sunken-sole curvature, designed to absorb and mitigate vibrations. As a result, fewer sound ribs are needed inside the head, which in turn saves weight. They have duly (and humbly) hailed this as a “breakthrough of acoustical engineering”. Who are we to argue? Distance, forgivenss and simply beautiful sound make the M2 2017 a complete power pack. In terms of the crown, there isn’t much in it between the 2016 and 2017 models of the M2. That’s a good thing, because the blend of the white titanium leading edge and the black carbon composite behind it is a treat to look at. Those with an eagle eye will notice the leading edge is slightly narrower than last year’s driver. In terms of design, the head is somewhere between round and pear-shaped – a dead heat really. The face is also 7 per cent larger, thus maximising the sweetspot. The biggest changes have been to the sole, which has an unmistakably yellow tinge to it, rather than gold. The circular silver weight is also a standout visual feature, while the Speed Pocket also slots in with a bit more style this time around. In general, the sole looks a bit busier, but in a well-fitted way. As is the trend these days, this new sole design has a name: Geocoustic. Who doesn’t love a gimmick? 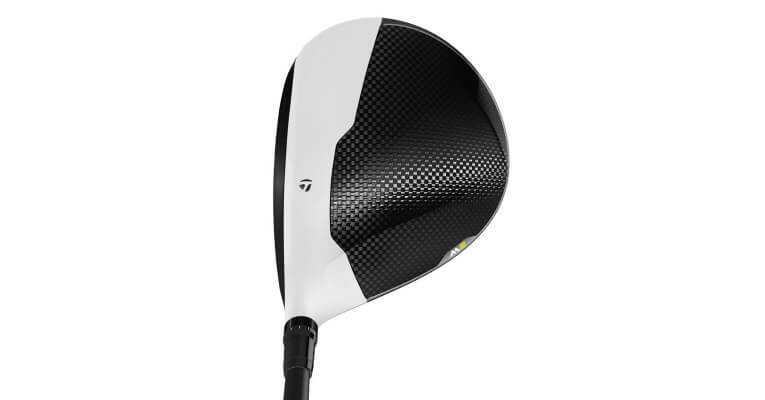 Either way, it all makes for an excellent design, which looks enticing at address, and leaves a footprint that any golfer would deem as ideal for a driver. 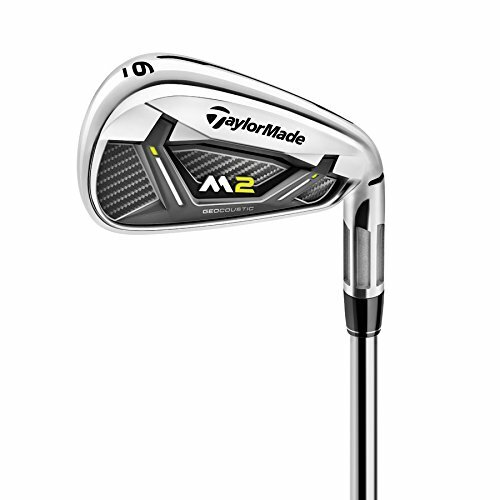 Certainly, when compared with the M1, the M2 doesn’t have the same level of bells and whistles, and there is nowhere near as much in the way of adjustability. 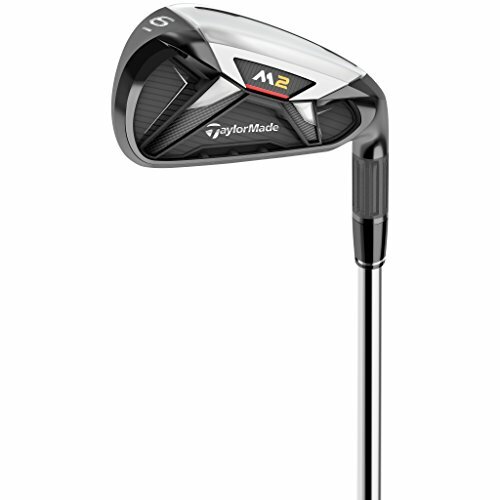 You’ll also note that, at the time of launch, Taylormade have slapped a $50 premium on the 2017 version of the M2 when compared with its predecessor. No doubt about it, that takes it to the very top end of the price spectrum, and for many keen golfers, 400 bucks will be too much of a mountain to climb. But the flip side of the argument is that, in terms of look, feel and performance, this is a genuinely 5-star driver, whose subtle-but-significant improvements on the older model make it a worthy upgrade. As soon as you lay eyes on it, you’ll sense the quality it exudes, and, as with any modern Taylormade driver, results are guaranteed. In summary, it costs a lot, but you get a heck of a lot in return. Hi Larry, I would agree with that, although I wouldn’t suggest the M3 as an alternative. I would also recommend looking at the Ping G400 Driver.